(viii) Other systems, structures, components, and activities important to the containment of waste in the disposal system. (5) Data comparability, i.e., a measure of the confidence with which one data set can be compared to another. (d) Any compliance application shall provide information which demonstrates how all data are qualified for use in the demonstration of compliance. (e) The Administrator will verify appropriate execution of quality assurance programs through inspections, record reviews and record keeping requirements, which may include, but may not be limited to, surveillance, audits and management systems reviews. 40 CFR § 194.22 (U.S. EPA 1996) establishes quality assurance (QA) requirements for the Waste Isolation Pilot Plant (WIPP). The QA process enhances the reliability of technical data and analyses used for the U.S. Department of Energy's (DOE's) Compliance Certification Application (CCA) (U.S. DOE 1996), and subsequent Compliance Recertification Applications (CRAs) (U.S. DOE 2004 and 2009a) and this CRA, which demonstrate compliance with U.S. Environmental Protection Agency (EPA) disposal standards. Section 194.22 requires the DOE to (1) establish and execute a QA program for all items and activities important to the containment of waste in the disposal system, (2) qualify data that are collected prior to implementation of the required QA program, (3) assess data for their quality characteristics, to the extent practicable, (4) demonstrate how data are qualified for use, and (5) allow verification of the above measures through EPA inspections and audits. The DOE's QA program is required to adhere to specific Nuclear Quality Assurance (NQA) standards issued by the American Society of Mechanical Engineers (ASME) NQA-1-1989, NQA-2a-1990 addenda part 2.7, and NQA-3-1989 (ASME 1989; ASME 1990a; ASME 1990b). The EPA's Certification Decision was provided in Federal Register vol. 63 (U.S. EPA 1998), pp. 27353-406, "40 CFR Part 194 Criteria for the Certification and Recertification of the Waste Isolation Pilot Plant's Compliance with the Disposal Regulations: Certification Decision; Final Rule." A complete description of the EPA's 1998 Certification Decision for section 194.22 is contained in Docket A-93-02, Items V-A-1 and V-B-2 (U.S. EPA 1998). The EPA took two general steps to perform each of the three assessments listed above. First, the EPA reviewed the CCA and associated references to determine if the DOE provided a satisfactory description of compliance with the QA requirements. During this stage, the EPA requested and reviewed additional information. In the second step, the EPA conducted formal audits at WIPP-related facilities to verify compliance with the requirements of section 194.22. These audits were conducted under the authority of 40 CFR § 194.22(e) and were essential to verifying implementation of the QA requirements. Each WIPP-related facility generated much activity and documentation, and it was not practical to visit each facility to witness proper implementation of QA programs. Neither was it considered adequate to assess proper QA program implementation at each facility based solely on documents provided by the DOE. Therefore, the EPA auditors went to four DOE facilities to witness the proper implementation of the QA requirements of section 194.22. As a result of the audits, the EPA approved the WIPP's QA programs at the DOE Carlsbad Field Office (CBFO), the WIPP site (managed by Washington TRU Solutions, LLC), Sandia National Laboratories, and Los Alamos National Laboratory (LANL). These four WIPP-related facilities are all located in New Mexico. At that time (1996-1998), other WIPP-related facilities located outside of New Mexico were not approved by the EPA. 40 CFR § 194.22(a)(2)(i) requires the DOE to apply QA programs for waste characterization activities prior to certification. The criteria in 40 CFR § 194.24(c)(3) and 40 CFR § 194.24(c)(5) cross-reference the QA requirements set forth in section 194.22(a)(2)(i). The CCA indicated that waste generator sites outside New Mexico would not begin waste characterization until after 1997 and that it was not reasonable to implement QA programs at that time for future waste characterization. The EPA applied a condition to the approval of the CCA that sites without approved QA programs could not dispose of TRU waste at the WIPP. After the approval of the CCA, each unapproved site would have to be audited to verify compliance prior to shipping waste. The EPA examined the application of QA for waste characterization at one waste generator site as part of the CCA review. After the DOE informed the EPA that LANL was ready for an audit, the EPA auditors reviewed the LANL QA Plan to verify establishment of QA requirements, and later to verify proper implementation of the QA Plan. Based on the audit samples taken, the EPA determined that LANL had properly established and implemented a QA program for its waste characterization. The other waste generator sites required EPA audits of their individual QA programs before the EPA could allow them to send waste to the WIPP. After the EPA approved the CCA, the agency conducted periodic audits at the four approved facilities to verify continued compliance. The EPA also began to audit other facilities that had not been ready to perform work at the time of the CCA. The 2004 Compliance Recertification Application (CRA-2004) (U.S. DOE 2004a), Chapter 5.0, like the CCA, Chapter 5.0, discussed the QA programs for the WIPP. The DOE extensively revised the CRA-2004, Chapter 5.0 to make it clearly match the structure of the NQA standards and to update information. Changes to the QA portions of the CRA-2004 reflected a maturing and expansion of the CBFO QA program since the CCA. The QA programs that were new at the time of the CCA had increased their effectiveness over time. Between 1998 and 2004, new waste generator sites were added, thus adding more QA programs. The QA document that establishes the NQA standards for the WIPP is the CBFO Quality Assurance Program Document (QAPD). As in the CCA, Appendix QAPD-2004 contained the current QAPD at the time. The DOE revised the QAPD between the CCA and the CRA-2004 to more clearly establish each of the applicable NQA elements and to update the DOE organizational structure. Appendices PEER-2004 and AUD-2004 were also updated to include peer reviews and audits performed since the CCA. The EPA's Recertification Decision was published in Federal Register vol. 71 (2006), pp. 18010-021 (U.S. EPA 2006a), "40 CFR Part 194 [EPA-HQ-OAR-2004-0025; FRL-8055-1] Criteria for the Certification and Recertification of the Waste Isolation Pilot Plant's Compliance with the Disposal Regulations: Recertification Decision." Detailed technical evaluation of the CRA-2004, Chapter 5.0, Quality Assurance, was provided in Compliance Application Review Document (CARD) 22 (U.S. EPA 2006b). The following is a summary of the EPA's evaluation of compliance with section 194.22 (CRA-2004, Chapter 5.0, and Appendices PEER-2004 and AUD-2004), as contained in the EPA documents mentioned above. The CRA-2004 provided information on the DOE's implementation of the NQA standards. ASME NQA-1-1989 (ASME 1989) requirements were addressed in the CRA-2004, Chapter 5.0, Sections 5.3.1 through 5.3.19. ASME NQA-2a-1990 addenda part 2.7 (ASME 1990a) was addressed in the CRA-2004, Chapter 5.0, Section 5.3.20. ASME NQA-3-1989 (ASME 1990b) was addressed in the CRA-2004, Chapter 5.0, Sections 5.3.21, 5.3.22, and 5.3.23 (Docket A-93-02 Items V-A-1 and V-B-2). The CBFO QA document that implemented the NQA standards, the QAPD, was provided in Appendix QAPD-2004. Since the CCA, the EPA periodically audited the QAPD to verify the continued proper establishment of the NQA standards. The EPA found that the CBFO QAPD (Appendix QAPD-2004) properly established the applicable elements of the NQA standards invoked under section 194.22 for items and activities important to the long-term isolation of TRU waste. The CRA-2004 provided information on internal and external auditing of the implementation of the CBFO QAPD in the CRA-2004, Chapter 5.0, Sections 5.3.19 and 5.7. The CRA-2004, Chapter 5.0, Section 5.7 described the CBFO audit process that covered internal and external audits, audit schedules, and audit team leader qualification requirements. Appendix AUD-2004, Table AUD-10 , provided a summary of audits conducted on the CBFO QAPD. The EPA determined that the CRA-2004 provided references to general and auditable information regarding internal and external audits to verify proper implementation of the CBFO QAPD. Further, the EPA conducted periodic audits since the CCA to verify the proper implementation of the CBFO QAPD. The CRA-2004, Chapter 5.0, Section 5.3.19 addressed internal and external auditing of the CBFO QAPD as a requirement of NQA-1-1989, and the CRA-2004, Chapter 5.0, Section 5.7 described the CBFO audit process that covers internal and external audits, audit schedules, and audit team leader qualification requirements. An audit history of assessments of TRU waste generator sites and suppliers performing quality-affecting work between 1999 and 2003 is located in Appendix AUD-2004, Tables AUD-1 through AUD-11. All audits were assigned an audit number, which allowed traceability. Audited suppliers included the CBFO Technical Assistance Contractor, Argonne National Laboratory (ANL) - East, Battelle Columbus Laboratories, Mobile Characterization Services, LLC, and the Carlsbad Environmental Monitoring and Research Center. The EPA found that the CRA-2004 contained general and auditable information describing an active CBFO auditing program of lower-tier and supplier organizations. Further, the EPA had conducted periodic audits since the CCA to verify the proper execution of QA programs at the lower-tier organizations. U. S. Nuclear Regulatory Commission NUREG-1297 (NRC 1988) provides guidance on the definitions of peer reviews, the area for which peer review is appropriate, the acceptability of peers, and the conduct and documentation of peer reviews. The CBFO peer review process was outlined in the CRA-2004, Chapter 9.0, Section 9.2, which is broken into Sections 9.2.1 through 9.2.8 that generally mirror the topics in NUREG-1297 (NRC 1988). The remainder of the CRA-2004, Chapter 9.0 discussed the results of peer reviews conducted prior to 2004. CBFO Management Procedure (MP) 10.5 defines the process for conducting peer reviews for compliance with the requirements of NUREG-1297(NRC 1988). The EPA evaluated MP 10.5 and its description in the CRA-2004, Chapter 9.0, Sections 9.2.1 through 9.2.8, and found it to be acceptable. The CRA-2004 provided information that described how all data used to support the compliance application were assessed for accuracy, precision, representativeness, completeness, and comparability. The DOE applied the data quality characteristics to tasks involving the quantification of specific constituents in an environmental medium through sampling and analysis, and applied these data quality characteristics to activities such as the determination of the presence or absence of constituents within TRU waste streams. In these cases, the performance measurement is the concentration of the constituent of interest. Data quality measures are found in the CRA-2004, Chapter 5.0, Section 5.3.22. The EPA found that the CRA-2004 provided information that describes how all data used to support the compliance application were assessed for their quality characteristics. The CRA-2004, Chapter 5.0, Section 5.3.23 provided information on how all data were qualified for use in the demonstration of compliance by applying one or more of five methods. Audits were conducted to verify that data not qualified by one of these methods were not used for demonstrating compliance. The EPA found that the CRA-2004 provided information describing how all data used to support the compliance application were qualified. Based on a review and evaluation of the CRA-2004 and supplemental information provided by the DOE, the EPA determined that the DOE continued to comply with the requirements of section 194.22. Changes between the CRA-2004 and CRA-2009 (U.S. DOE 2009a) reflected maturation and expansion of the CBFO QA program since the CCA. The QA programs that were new at the time of the CCA had increased their effectiveness over time. As was the case between the CCA and CRA-2004, new waste generator sites were added between the CRA-2004 and CRA-2009, thus adding more QA programs. The QA document that establishes the NQA standards for the WIPP is the QAPD. Appendix QAPD-2009, as in the CRA-2004, contained the current QAPD at the time. The DOE revised the QAPD between the CRA-2004 and the CRA-2009 to more clearly establish each of the applicable NQA elements and to update the DOE organizational structure. Appendix AUD-2009 was updated to identify the audits performed since the CRA-2004. Changes to the QAPD between CRA-2004 and CRA-2009, as noted in the revision histories, are summarized below. Document citations were added to include remote-handled transuranic (RH-TRU) waste packaging. The detailed changes were incorporated within the document. In October 2004, Revision 6 of the QAPD (U.S. DOE 2004b) implemented the restructured CBFO organization. 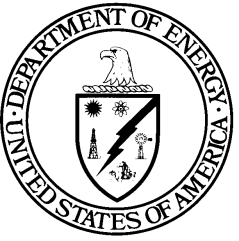 In July 2005, changes implemented in Revision 7 of the QAPD (U.S. DOE 2005) were the direct result of DOE Headquarters (DOE EM 3-2) comments relative to compliance with DOE Order 414.1B. The changes implemented in Revision 8 of the QAPD (U.S. DOE 2006), effective November 2006, were made to address 13 minor findings and 1 concern from an EPA inspection of the CBFO QA program. Document citations were added to include RH-TRU waste packaging. The exemption of National Environmental Policy Act-related software from the requirements of the QAPD was deleted. The applicability of software QA to safety software was clarified. Editorial changes related to the June 26, 2006, reorganization of the CBFO were also incorporated. In December 2007, Revision 9 of the QAPD (U.S. DOE 2007) clarified that reliance on administrative controls alone is not sufficient for differentiating between waste that is acceptable for shipment to the WIPP and waste that does not meet the WIPP waste acceptance criteria. The classification of conditions adverse to quality related to the Hazardous Waste Facility Permit was also clarified. The language regarding reporting nonconformances was revised to comply with the November 16, 2006, Permit Modification. The requirements for records disposition were revised to comply with the Class 1 Permit Modification that took effect on September 13, 2007. Between the CRA-2004 and the CRA-2009, two RH-TRU waste generator sites, INL/CCP and ANL/CCP, were certified (see CRA-2009, Section 8 , Approval Process of Waste Shipment from Waste Generator Sites for Disposal at the WIPP).Four peer reviews were conducted between the CRA-2004 and the CRA-2009 (see Section 27, Peer Review). A listing of audits and surveillances performed by CBFO can be found in Appendix AUD-2009. The changes identified to the QAPD and its implementing procedures represented normal evolution and improvement in the CBFO QA program. The CBFO QA program was effectively managed and maintained as demonstrated through CBFO audits and surveillances (see Appendix AUD-2009), and met the provisions of section 194.22. The EPA's Recertification Decision was published in Federal Register vol. 75 (2010), pp. 70584-595 (U.S. EPA 2010a), as "40 CFR Part 194 [EPA-HQ-OAR-2009-0330; FRL-9227-4], Criteria for the Certification and Recertification of the Waste Isolation Pilot Plant's Compliance with the Disposal Regulations: Recertification Decision." Detailed technical evaluation of the CRA-2009, Section 22 , Quality Assurance, was provided in CARD 22 (U.S. EPA 2010b). The following is a summary of the EPA's evaluation of compliance with section 194.22 (CRA-2009, Section 22, and Appendices AUD-2009 and QAPD-2009) as contained in the EPA documents mentioned above. The CRA-2009 provided information on the DOE's implementation of the NQA standards. ASME NQA-1-1989 (ASME 1989), ASME NQA-2a-1990 addenda part 2 (ASME 1990a), and ASME NQA-3-1989 (ASME 1990b) requirements were addressed in Appendix QAPD-2009. The DOE QA document that implemented the NQA standards, the QAPD, was provided in Appendix QAPD-2009. Since the CCA, the EPA periodically audited the QAPD to verify the continued proper establishment of the NQA standards. The EPA found that the CBFO QAPD (Appendix QAPD-2009) properly established the applicable elements of the NQA standards invoked under section 194.22 for items and activities important to the long-term isolation of TRU waste. The CRA-2009 provided information on internal and external auditing of the implementation of the CBFO QAPD in Appendix AUD-2009. Appendix QAPD-2009, Section QAPD-4.2.2 described the CBFO audit process that covered internal and external audits, audit schedules, and audit team leader requirements. Appendix AUD-2009 provided a summary of audits conducted on the CBFO QAPD. The EPA determined that the CRA-2009 provided references to general and auditable information regarding internal and external audits to verify proper implementation of the CBFO QAPD. Further, the EPA conducted periodic audits since the CRA-2004 to verify the proper implementation of the CBFO QAPD. Appendix QAPD-2009, Section QAPD-4.2.2 addressed internal and external auditing of the CBFO QAPD as a requirement of NQA-1-1989, and described the CBFO audit process. An audit history of assessments of TRU waste generator sites and suppliers performing quality-affecting work between 2003 and 2008 were located in Appendix AUD-2009. All audits were assigned an audit number, which allowed traceability. Audited suppliers included the Carlsbad Environmental Monitoring and Research Center, Environmental Resource Associates, L&M Technologies (project records services), and Portage Environmental, Inc. The EPA found that the CRA-2009 contained general and auditable information describing an active auditing program by the CBFO of lower-tier and supplier organizations. Further, the EPA conducted periodic audits since the CRA-2004 to verify the proper execution of QA programs at the lower-tier organizations. U. S. Nuclear Regulatory Commission NUREG-1297 (NRC 1988) provides guidance on the definitions of peer reviews, the area for which peer review is appropriate, the acceptability of peers, and the conduct and documentation of peer reviews. The CBFO peer review process was outlined in the CRA-2009, Section 27.0 , which also documented the results of peer reviews conducted since the CRA-2004. CBFO MP 10.5 defines the process for conducting peer reviews for compliance with the requirements of NUREG-1297 (NRC 1988. The EPA evaluated MP 10.5 and its description in the CRA-2009, Section 27.0 , and found it to be acceptable. The CRA-2009 provided information that described how all data used to support the compliance application were assessed for accuracy, precision, representativeness, completeness, and comparability. The DOE applied the data quality characteristics to tasks involving the quantification of specific constituents in an environmental medium through sampling and analysis. The DOE also applied these data quality characteristics to activities such as the determination of the presence or absence of constituents within TRU waste streams. In these cases, the performance measurement is the concentration of the constituent of interest. Data quality measures were found in Appendix QAPD-2009, Section QAPD-6.3. The EPA found that the CRA-2009 provided information that described how all data used to support the compliance application were assessed for their quality characteristics. Appendix QAPD-2009, Section QAPD-6.3 provided information on how all data were qualified for use in the demonstration of compliance by applying one or more of five methods. Audits were conducted to verify that data not qualified by one of these methods were not used for demonstrating compliance. The EPA found that the CRA-2009 provided information describing how all data used to support the compliance application have been qualified. Based on a review and evaluation of the CRA-2009, the EPA determined that the DOE continued to comply with the requirements of section 194.22 (U.S. EPA 2010a; U.S. EPA 2010b). Changes to the QAPD since the CRA-2009, additions and changes to the CBFO implementing procedures, and an updated list of waste generator sites certified as of the CRA-2009 under the QA program are described in this section. Two revisions to the QAPD occurred since the CRA-2009, as summarized below. In May 2010, Revision 11 of the QAPD (U.S. DOE 2011) addressed the April 1, 2010, WIPP Hazardous Waste Facility Permit modification for the time allowed for reporting nonconformances to data quality objectives first identified at the Site Project Manager level. The TRU waste sites approved by the EPA to ship contact-handled TRU waste to the WIPP in accordance with the requirements of section 194.8 since CRA-2009 are as follows: Advanced Mixed Waste Treatment Project, RL/CCP, INL/CCP, LANL/CCP, ORNL/CCP and SRS/CCP. Since the CRA-2009, suspension of CH waste characterization activities occurred at ORNL/CCP and RL/CCP. The TRU waste sites approved by the EPA to ship RH-TRU waste to the WIPP in accordance with the requirements of section 194.8 since CRA-2009 are as follows: ANL/CCP, Bettis Atomic Power Laboratory (BAPL/CCP), General Electric Vallecitos Nuclear Center (GEVNC)/CCP, INL/CCP, ORNL/CCP and SRS/CCP. Since the CRA-2009, suspension of RH waste characterization activities occurred at the following sites: BAPL/CCP, GEVNC/CCP, RL/CCP, and ORNL/CCP. A listing of audits and surveillances performed by CBFO can be found in Appendix AUD-2014. The results of audits and surveillances performed by CBFO concluded that the DOE continues to comply with all the requirements of section 194.22. The changes identified to the QAPD and its implementing procedures represent normal evolution and improvement in the CBFO QA program. The current CBFO QA program is effectively managed and maintained as demonstrated by the CBFO audit and surveillance program (see Appendix AUD-2014), and meets the provisions of section 194.22.